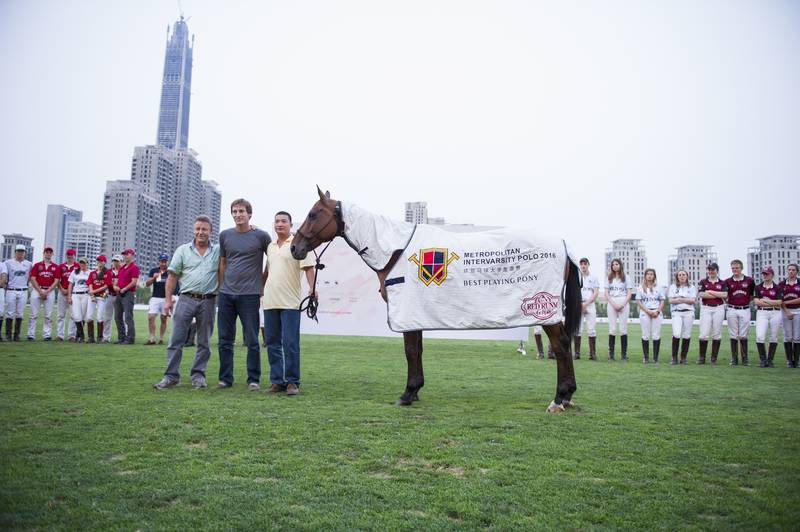 Tianjin, China, 17 July 2016 – The University of Oxford Polo Club won the Metropolitan Intervarsity Polo 2016 tournament, aka The London Challenge, in Tianjin today after beating The Cornell Polo Club in a high-quality competition that served as the climax of the invitational competition in the northeast China city. 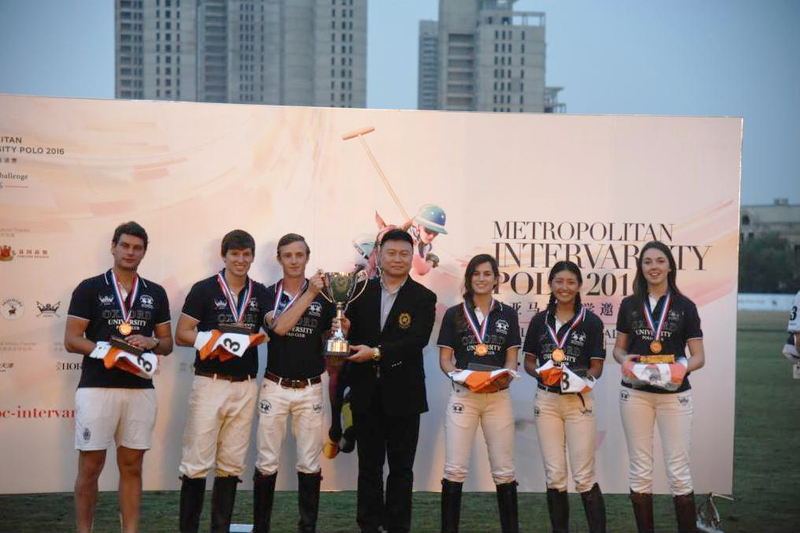 The Tianjin Goldin Metropolitan Polo Club was hosting the competition for the fourth time, and again invited the cream of the crop of polo teams from universities in the US and UK to compete. After seeing off competition from Harvard in yesterday’s semi final, Oxford put Cornell to the sword to be crowned 2016 champions. 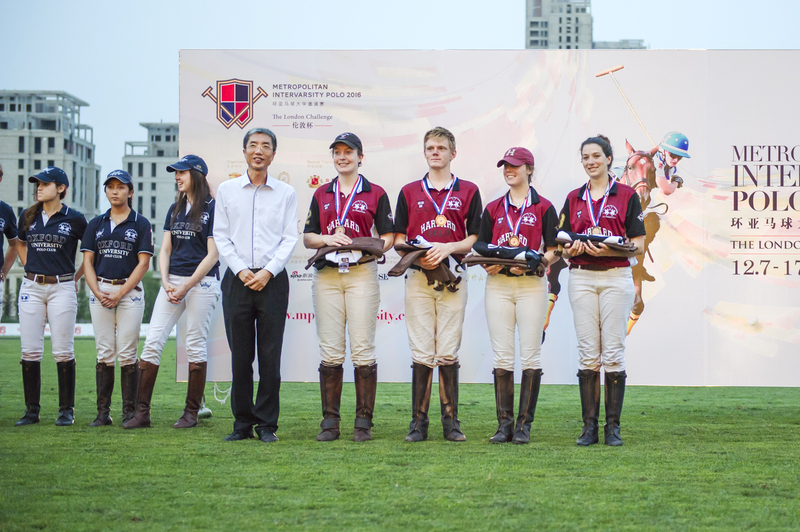 Harvard had beaten Skidmore, who were making their debut in the tournament, in their semi final. 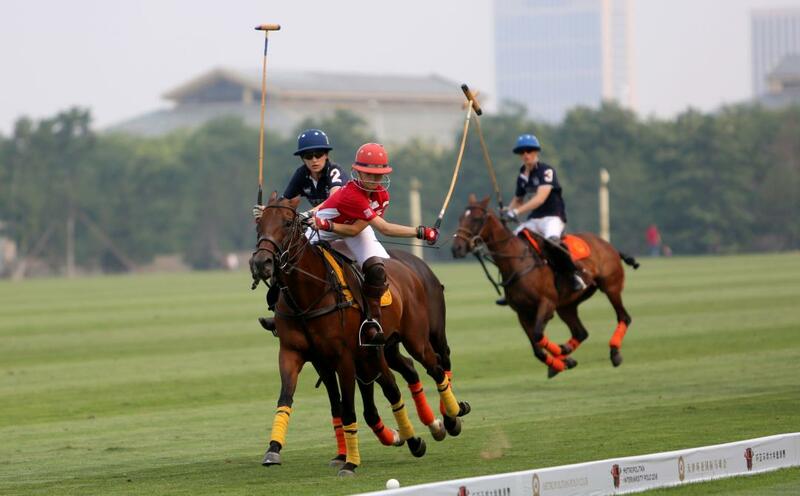 Before the final took place the crowd was treated to an exhibition match featuring young Chinese members of the Tianjin Goldin Metropolitan Polo Club. Kevin Tai, Lawrence Lin, Arthur Lin and Kevin Quan gave a positive glimpse of the future of the sport in China, as they scored two goals against a team comprised of members of the visiting foreign universities. 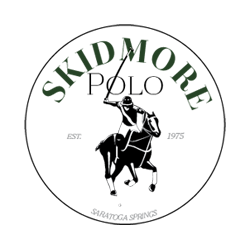 They lost the game 6-2.5 but showed impressive steel that belied their young ages. Oxford had looked strong throughout the tournament, being particularly impressive in their demolition of long-standing UK rivals Cambridge earlier in the week. 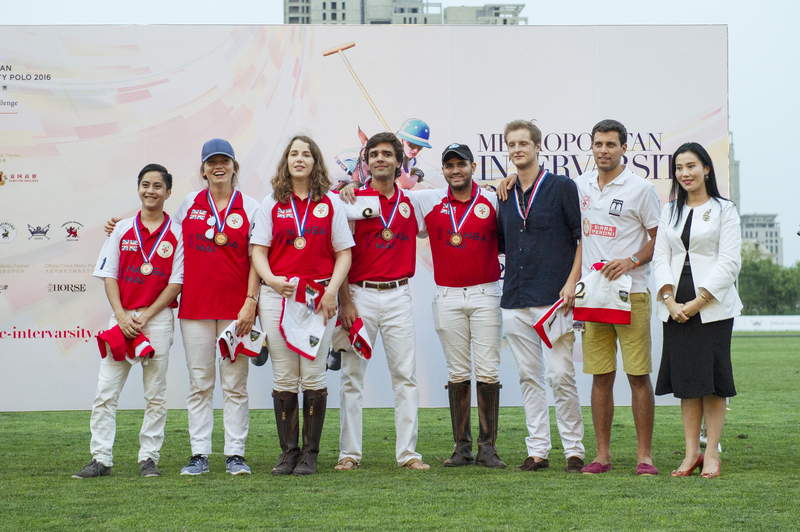 The team started the game with a 0.5 point advantage due to handicap rules, but neither Oxford nor Cornell managed to score a goal in the first chukka. Oxford upped their game in the second chukka, scoring three goals in a row to extend their lead to 3.5-0 with goals from the talismanic Louis Maddison and Charlie Hitchman. 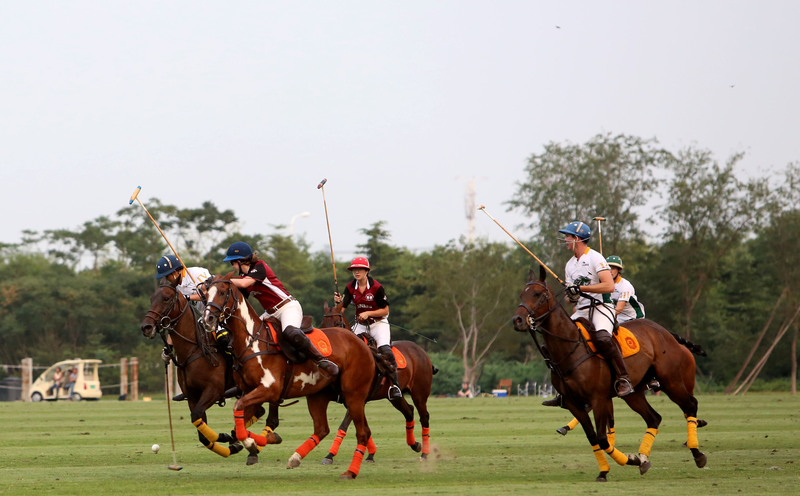 Maddison bagged two in the chukka, but Hitchman’s goal was arguably the most impressive of the time period. He made a long ride from midfield, showing incredible composure to set himself up with a series of approach shots before driving the ball home. Cornell refused to be dragged under a tide of Oxford pressure, though, rallying impressively to bring the score to 3.5-2 by the end of the second chukka. Dan Shaw read the game well to spot a gap in the Oxford defense during a period of possession near the Oxford goal to drive through and tap home when it looked like a pass was the more likely move. Liam Palacious then doubled Cornell’s tally at the other end, driving forward seemingly from nowhere and smashing home from mid range for a hugely impressive goal. 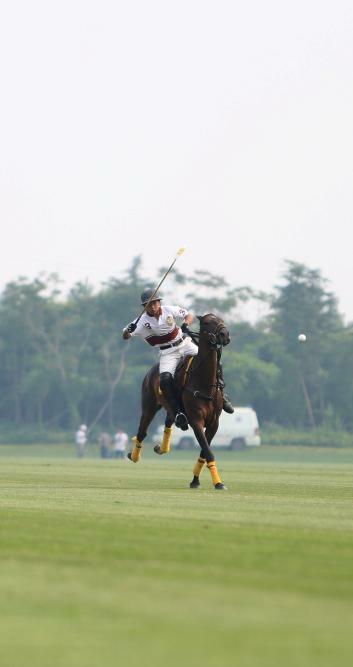 The third chukka was perhaps the most action-packed of the tournament, featuring superb goals and a moment of high drama as Oxford’s Hitchman drive from the right flank, took a shot at goal that went wide, then ploughed into the right hand goal post, cartwheeling from his steed onto the grass. 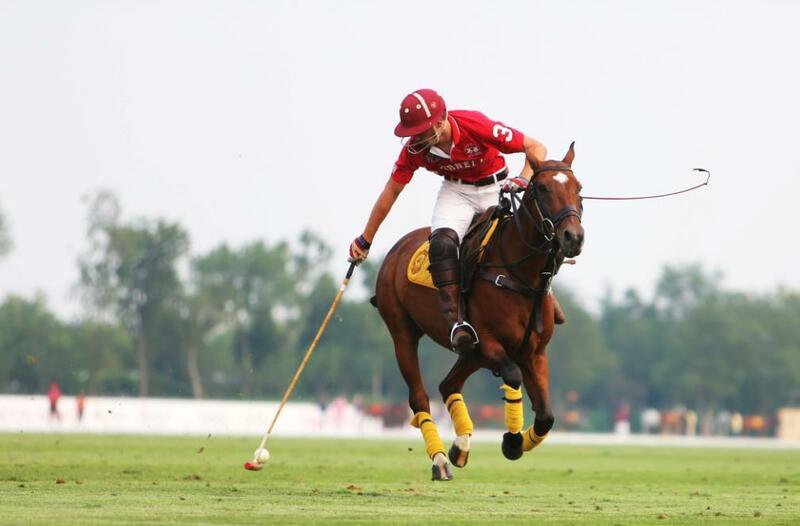 He stayed on his back for a few minutes and was treated by medical staff, but bravely mounted his horse after a few minute’s rest to continue the match. In a ‘couldn’t write the script’ moment shortly after the game re-started, Hitchman tore down the left flank, lost the Cornell defenders, cut in then unlreashed a huge long shot that harpooned between the goal posts. Hitchman wheeled off in celebration, losing his hat in the process as he marked what could have been the goal of the week. Ryan Saul kept Cornell in touching distance by converting a free hit before Maddison clocked up another goal, showing great strength to hold off a defender as he drove from midfleid and finished. Saul bagged another for himself and Cornell, tapping in after another free hit, then Maddison showed his class once more to create another goal similar to his previous effort. Oxford were leading 6.5-4 as the final chukka began, with Hitchman fittingly having the final word. Near the death of the match he broke from the pack and trundled a shot goalwards. Dan Shaw, defending for Cornell, might have hoped to stop the ball crossing the line but couldn’t connect and had to watch as it bounced home to give Oxford a 7.5-4 lead that they would maintain until the final bell tolled. 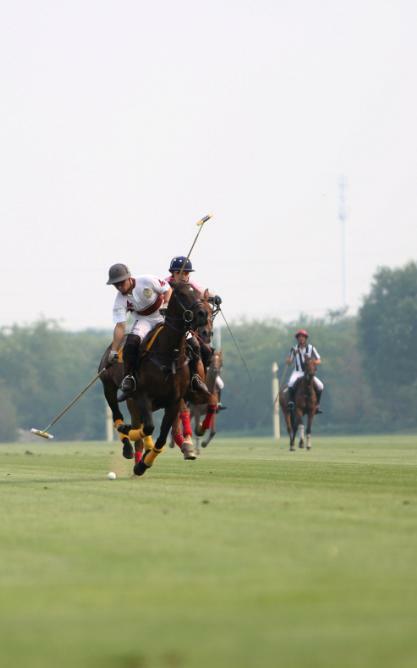 Following Oxford’s victory Skidmore Polo Club chalked up an easy win against Harvard University Polo Club, beating off their fellow university with a resounding 10-2.5 win. 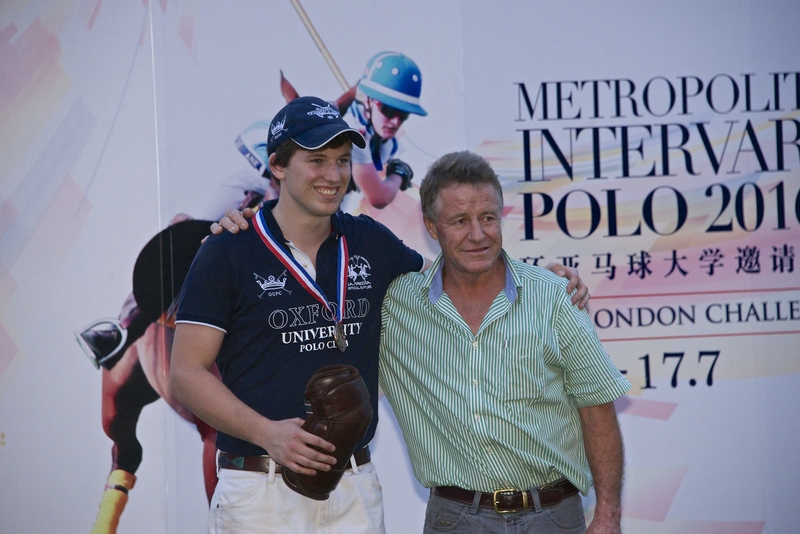 Charlie Bullis, Skidmore’s talisman throughout the tournament, was again the driving force, scoring eight of his teams ten goals with a polo masterclass from start to finish. Bullis’ impressive goal count meant that Skidmore never looked anything less than assured of a win, as they managed to keep Harvard at bay from the off. 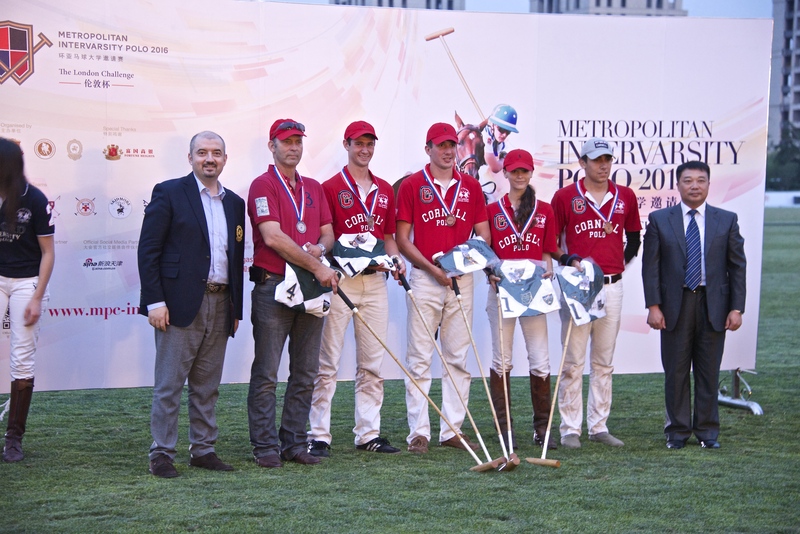 The result means that they finish the tournament a highly respectable third. 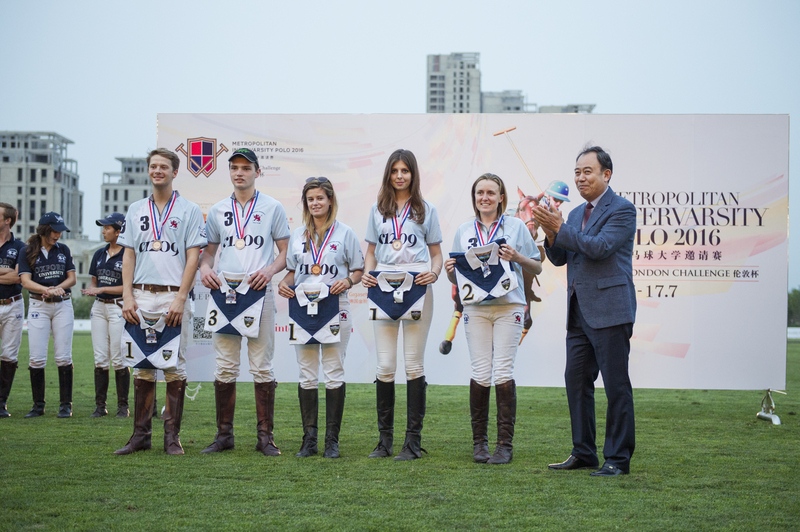 Earlier in the tournament they had succumbed to eventual winners Oxford by a close 7.5-5 scoreline, underlining what a strong showing they’d put in for their first appearance at the prestigious Tianjin event. 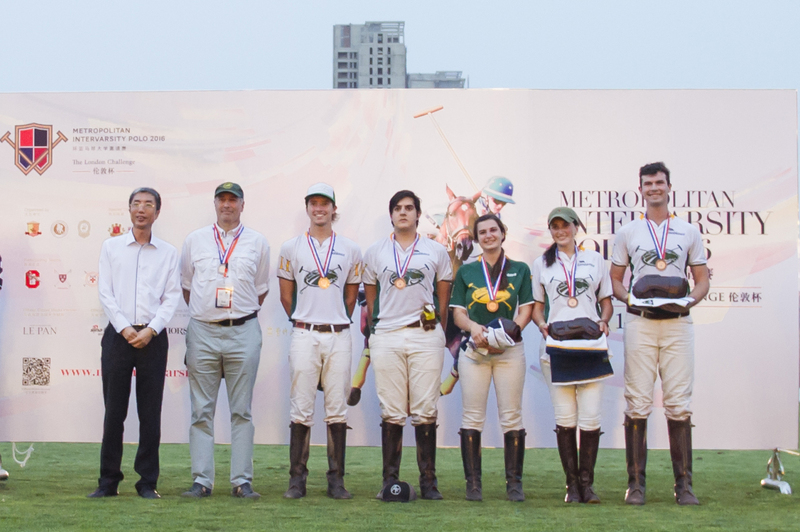 It was Bullis, fittingly, who scored the last goal of the tournament just before the sun set in the city to mark the end of another scintillating Metropolitan Intervarsity Polo 2016 tournament.